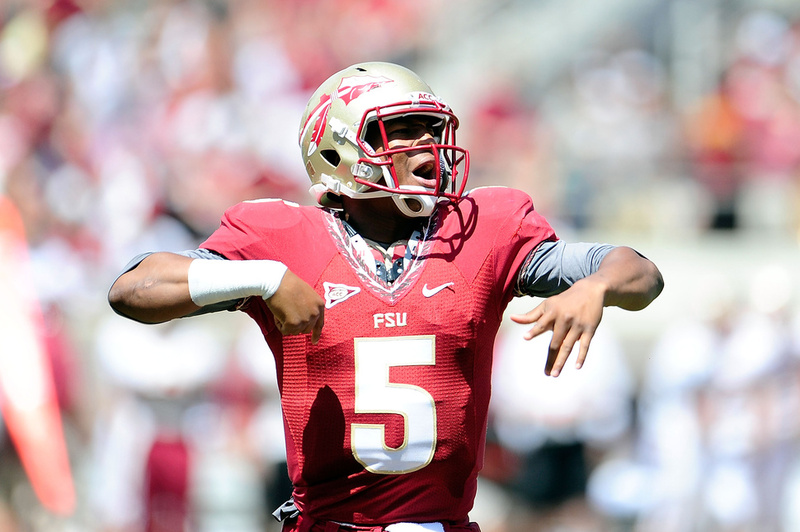 Jameis Winston: The Next Heisman Winner? It may be too early for Heisman talks but Florida State QB Jameis Winston seems like a good candidate. The true freshman from Bessemer, Alabama has been putting up videogame numbers for the Seminoles as of late and it doesn’t look like he’s going to cool down anytime soon. In every game so far, the Seminoles have scored more than 40 points and they practically routed every opponent. Winston is responsible for putting up most of these points and leading the Noles to 1st place in the ACC. Jameis already has 23 touchdowns and an unbelievable passer rating of 207.0. He is not a guy that shies away from a challenge either. Just ask the Clemson Tigers. Against #3 Clemson on October 19, the Seminoles destroyed the Tigers, winning 51-14. Winston had 444 yards (Yes, you read that correctly), 3 passing touchdowns, and 1 rushing touchdown. This is an unbelievably talented athlete and the scary thing is that he is only a freshman. Will he be the Heisman winner? I’m not sure, Mariota and Manziel look pretty good too. All I know is you should fear the spear because this guy is for real.